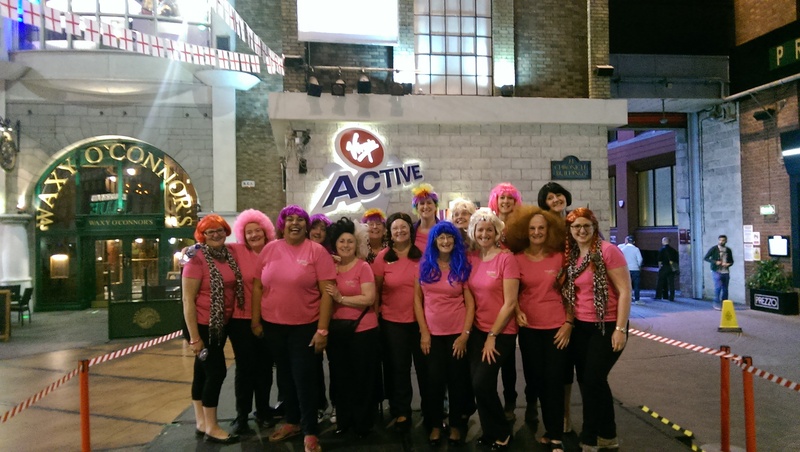 This year Crystal Chords is supporting CLIC Sargent as their nominated charity, and we kicked off the fundraising season with Wig Wednesday. Donning colourful wigs we sang for cinema goers and shoppers at The Printworks in Manchester, raising just over £200 during our allocated time slot of one and a half hours. Big thanks to all our bucket holding helpers! Come and join us on our stand at the Didsbury Festival on Saturday 7th June - we will be raising more valuable funds for this very important charity with our cake bake sale!